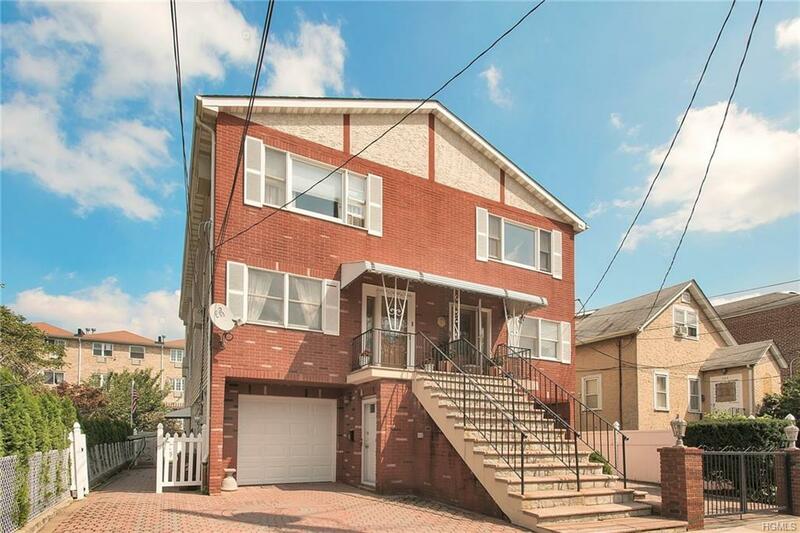 This fabulous Semi-attached Home - nestled in the Throgggs Neck area...with view of Bridge. Layout of home: 1st floor: Entrance awning, Foyer, Kitchen, DA, LR, 2 bedrooms and full bath. 2nd floor: Kitchen. DA, LR, 2 bedrooms and full bath. View of Bridge... Plus finished basement with country kitchen, bathroom w/side entrance. Nice size yard for entertaining, Attic for storage, alarm system, wood floors, storage under stairs, 1 car Garage and 2 car D/W - plus storage in garage w/laundry area...New garage door. The s.f. does not include basement..basement s.f. 840. Accessible to buses, stores, schools, golf course and house of worship.